Beijing: India must sign the Non-Proliferation Treaty (NPT) in order to gain entry into the Nuclear Suppliers Group (NSG), China said on Thursday, adding that "patient negotiations" were needed to resolve the issue.China has been repeatedly blocking India's entry into the elite NSG, citing its non-signatory status to the NPT. 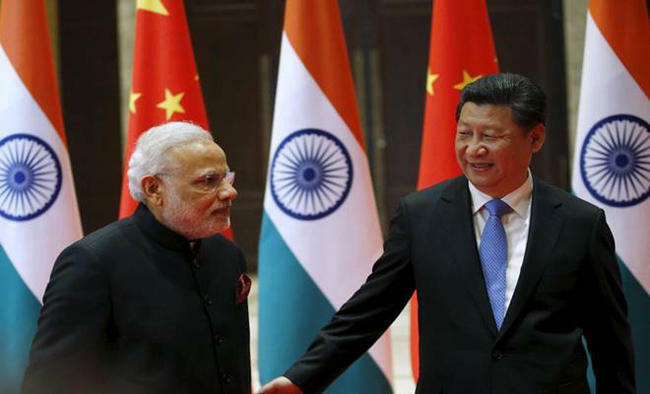 The issue is one of the key irritants in Sino-India ties.Beijing has invoked a two-step approach to deal with India's candidacy after New Delhi received overwhelming support in the 48-member NSG. "I have introduced to you that P5 countries are committed to uphold the NPT mechanism and recognize that it is the cornerstone of the international non-proliferation system. China is for comprehensive enforcement of the NPT and we will do our best to resolve the non-proliferation issue through diplomatic means," said Chinese Foreign Ministry spokesperson Geng Shuang. 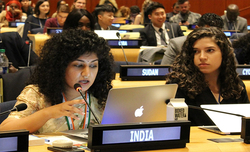 He was responding to a question if India's candidacy for the NSG came up during the ongoing P-5 member meet of the UN Security Council. The US and Russia - also members of the NSG - support India's entry into the elite club. "I don't want to mislead you. China's position has not changed. We call on all members that are not part of the treaty to join NPT as a non-nuclear weapon state as soon as possible," Geng said. "This is our position... We have proposed patient negotiations with the mechanism members to resolve this problem. "China has made clear in the past that it will not let India join the elite group as it is not a signatory to the NPT.Beijing says if India could be let in, why not its "all weather" ally Pakistan. India applied for membership of the NSG in May 2016.